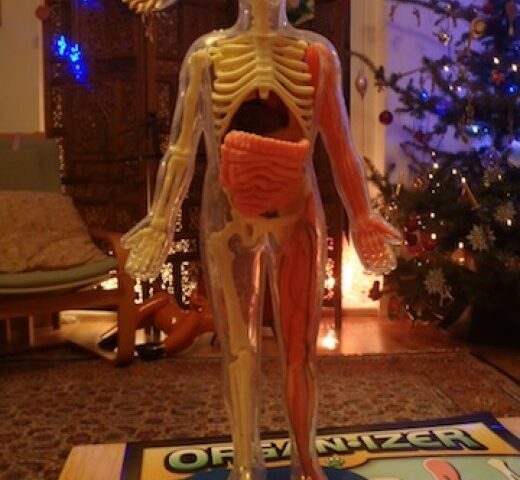 When my son opened this Smartlab Toys Squishy human body on Christmas morning he was so delighted that he laughed out loud! 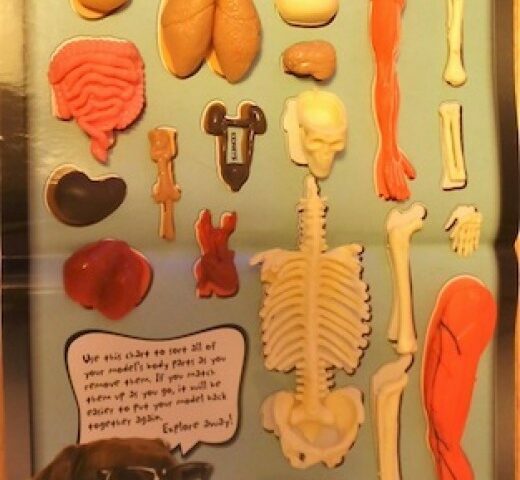 A human biology book with a gooey body to dissect! Just perfect for a 8 year old – it really can’t get better than that! This book/toy was an instant success. It’s great because he learned the names and relative size, shape and function of the major organs of the human body, and where they sit in the actual body. There is also a skeleton and muscles to come to grips with too. Although my son was very happy, all this brought back not so pleasant memories for me. When I was a child ‘human’ biology was presented to me in a much more gruesome way. My science teacher used to kill darling little mice with ether! He would start a lesson by placing a mouse inside a glass dome and then open a brown bottle, pour the contents onto cotton wool, and drop it inside the dome, and a few seconds later the mouse would be dead. He would then pin it to a board by its little feet, and proceed to dissect it in front of his pupils! I remember some kids being fascinated by the whole experience, but I certainly was not! I just couldn’t get beyond the fact that I had just witnessed a cold-blooded murder! The whole thing frightened me, and I just didn’t want to witness this necessary act of violence. I believed, and still do, that he should have done the killing part ‘back stage’ so to speak. The idea of standing around watching while this man cut open the tiny body frightened the life out of me too. I certainly didn’t want to see what was inside! So the result was that I learned absolutely nothing in these lessons, except that I would never make a surgeon, and that I cared a lot about animal welfare and rights. This was in the 1980s, I am sure it no longer happens in schools in the UK because, as a special needs teacher, I have supported many science lessons in schools and have never seen this going on. 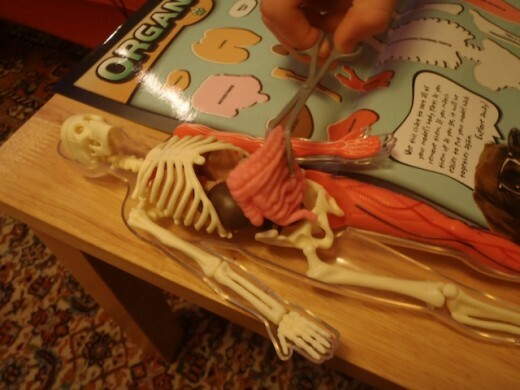 I wanted my son to have a much more pleasant experience of human biology but it had to capture his imagination by being a bit realistic too. 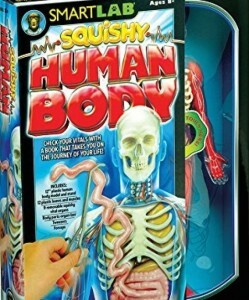 SmartLab Toys Squishy Human Body has a body with squishy innards, which I think is ingenious. Each organ feels ‘right’ and the inner organs are soft and stretchy. 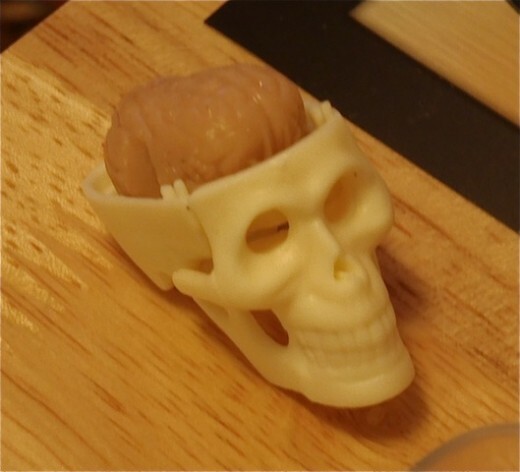 The muscles are hard plastic but at least they show how they fit into the body and there is a skull that opens at the top which houses an amazing squidgy brain. I love the size of the squishy human body it is bigger than I was expecting making it easy to handle the pieces. It’s nice and colorful too. 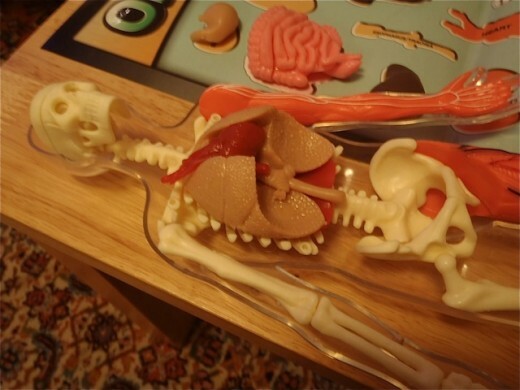 The organs are particularly realistic, for example you can pull the small intestine to see how long it is. My son immediately got to work using the implements provided to pull out each organ and place it carefully on the special chart. As a book about human biology for kids it is basic, but it does its job very well. It teaches where the organs are, their size, what they do, how to keep them healthy, and how muscle and bones protect them. 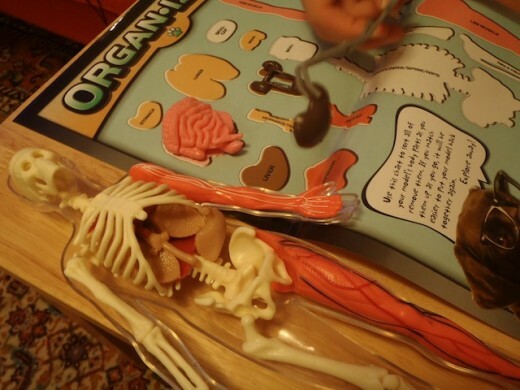 It also has a book that is full of bite-sized information about the organs and is illustrated with bright pictures, real photos, and diagrams. That’s a lot of science lessons covered! Taking the body apart and putting back together again is quite an experience. You can play at being a doctor and we have played Dr Frankenstein many times too! My son immediately started performing an ‘operation’. It’s great for Halloween too! 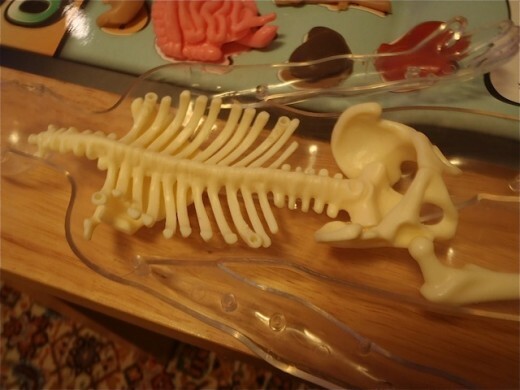 As I spent many lessons sitting with my eyes shut during the human biology lessons when I was at school, this toy has been a bit on an eye opener education for me too! What’s was your experience of biology lessons when you were at school? Do you think I was silly to react the way I did? What do you think of this book/toy? Please leave a comment. Thanks so much for your visit.